It’s finally back! Little Piggy Pink is a whimsical homage to our faithful farm friends. This handsome ruby rosé is made from our farm-grown Frontenac grapes, styled semi-sweet and displays bright cherry aromas with a refreshingly dry finish. Grape Information: Little Piggy Pink is made from 100% FTF Frontenac grapes. This grape is a deep garnet color with cherry aromas and a dark fruit palate. The vine is seriously cold hardy, producing a good sized crop after winters as cold as -36 degrees Fahrenheit. It is a vigorous vine that gets established rather quickly. Frontenac is also extremely disease resistant, which is an important trait for a wetter region like Vermont. 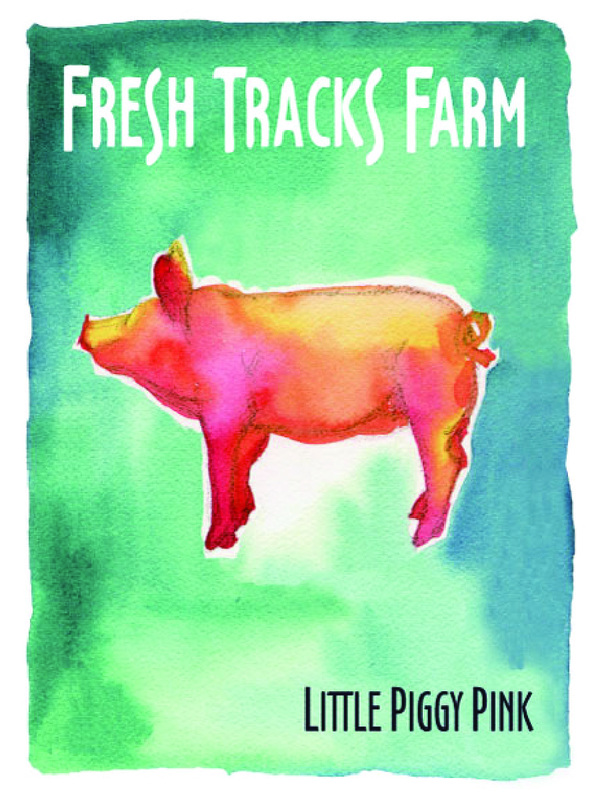 Suggested Pairings: Little Piggy Pink Lemonade Slushies! You can also try it with our Peaches and Honey Crostinis!